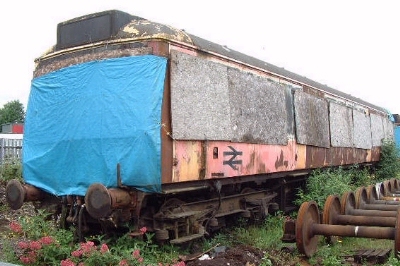 52029 is privately owned and is stored at Cynheidre, South Wales. It was originally bought by the Lakeside & Haverthwaite Railway for conversion into an observation vehicle. Interestingly 52029 met it's sister vehicle 52025 whilst the latter was undergoing repairs at Cardiff Cathays in late 2002.